Capital Group, an American asset manager, has upped its stake in SK Hynix Inc. to 3 percent through an additional share purchase, becoming the second-biggest foreign investor in the world’s second-largest memory chipmaker amidst ongoing selling spree in Korean chip stocks amid warnings of cyclical slowdown. According to the Financial Supervisory Service and industry sources on Sunday, Capital Group has become the second-largest foreign shareholder of SK Hynix following Blackrock Inc., the world’s largest fund operator who upped its stakeholding in the company to 5.08 percent in May. SK Telecom, the telecommunications unit of SK Group, holds the largest stake of 20.07 percent, and the country’s biggest institutional investor National Pension Service (NPS) owns the second largest stake of 10 percent. Blackrock is the third largest shareholder. Capital Group needed not disclose its stock purchase as disclosure is required of changes made with 5 percent or more ownership in listed Korean stocks under the local law. The U.S. financial services provider holding a 4.65 percent stake in SK Hynix’s bigger fellow Samsung Electronics owns a combined 14.84 trillion won ($13.2 billion) of the two Korean chip-making giants. Its holding in Samsung Electronics was worth 13.2 trillion won and in SK Hynix worth 1.6 trillion won based on their market capitalization as of last Thursday. The additional stake purchase came on the heels of outlook downgrades by investment banks including Morgan Stanley and Wells Fargo forecasting that the boom years for chipmakers were coming to an end. 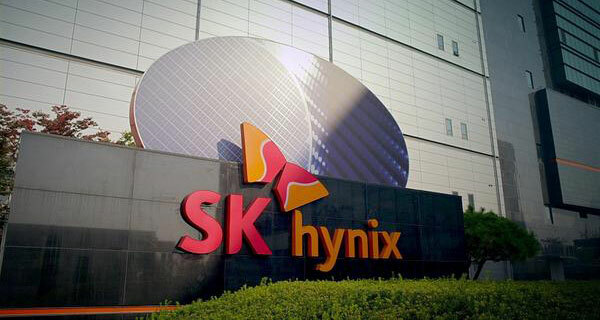 Foreign investors’ selling spree of the Korean chipmakers has recently sent SK Hynix shares down by 2.4 percent to 74,500 won last Friday compared to the end of last year. On Monday, SK Hynix shares gained 0.27 percent and closed at 74,700 won. The fall nevertheless gave others a chance to own a part of the bellwether technology stocks deemed undervalued against their underlying performance. According to Seoul-based financial data provider FnGuide, Samsung Electronics and SK Hynix are estimated to rake in 65.16 trillion won and 22.23 trillion won in operating profit for this year, respectively. But the price-to-earnings ratio (PER) for SK Hynix and Samsung Electronics was 3.3 times and 6.5 times, each, much lower than that of their peers, U.S.-based Intel (11.6 times) and Taiwan-based TSMC (17.9 times). Capital Group, founded in 1931 in Los Angeles, has more than $1 trillion assets under management. In September last year, it announced in a disclosure that it had reduced its stakeholding in Samsung Electronics from more than 5 percent to 4.65 percent.